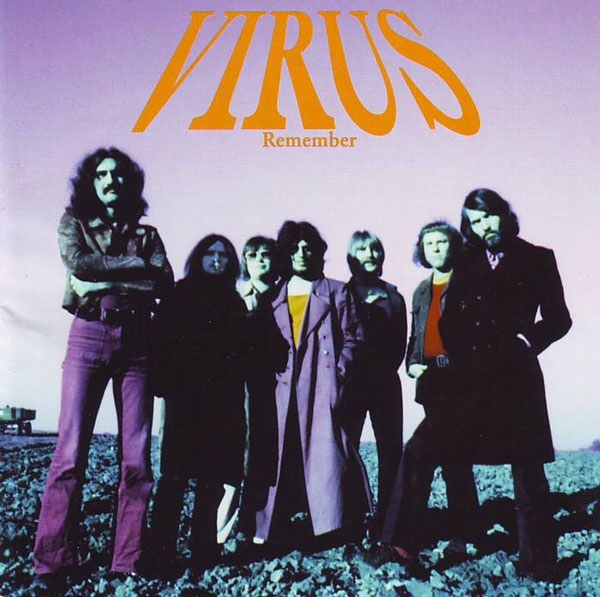 The German band Virus is mainly known in progressive rock circles for their 1971 debut album Revelation. By the time they recorded this live radio concert in 1973, they had abandoned virtually all their progressive and psychedelic elements and become a fairly typical hard rock band of the time, albeit one with prominent organ and sax. With the exception of “King Heroin,” which had appeared on their second studio album and on a single as well, all the tracks appear for the first time here. For the most part, I am reminded of Golden Earring, or maybe what Van Morrison would have sounded like if he got heavier in the early 70s. There is a strong blues component to the music, and many of the songs have the annoying quality of sounding very similar to well-known songs by other bands, but you can’t quite place them; the title track, for example, sounds very much like a lost Zombies tune. The organ is strong throughout, and the guitar gets some great solos in, with fuzz and wah-wah. Aside from the somewhat low fidelity expected of a live recording of this vintage, a number of glitches mar the recording: the beginning of the first track is lost due to editing out the radio announcer; a couple of tracks begin or end abruptly; audience noise comes and goes. The last is the longest – apparently they finished their set list with ten minutes left in the program – it turns into a nice jam.